Our company took part in the development of a prototype ventilator "Orpheus," commissioned by the factory of medical equipment of public joint-stock company "Crasnogvardeets". Development was further developed and was put into series production by our partners. It also provides the possibility of an emergency switch to backup battery in case of power failure. The device is equipped with a combined control system (pneumatic and electronic with software). A prototype of the machine Orpheus passed the state certification and has all the necessary certificates and certificates. There is positive experience of operation in Russian medical institutions. Orpheus is characterized by the highest reliability, stability, accuracy and maintenance parameters, mechanical ventilation and anesthesia, as well as comfortable. The unit will continue to operate in a predetermined mode even if the hang and the failure of the management system, and in the event of a power failure will automatically switch to backup sources. Ventilator Orpheus is used for surgical operations under General anesthesia, in intensive care and life support to patients with critical disorders of respiratory function. The apparatus carries out artificial respiration and supply of anaesthesia for open and closed breathing circuit by controlling the pressure and oxygen content in the gas mixture, as well as providing accurate flow anesthesia. the phone has a combined management system (climatic and software). 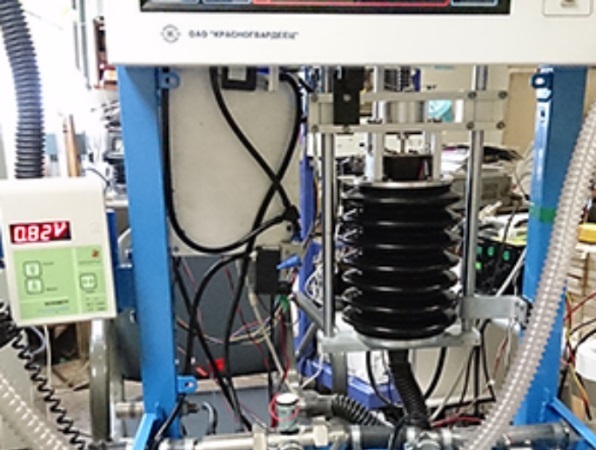 The introduction of additional feedbacks in the control of the Executive subsystems have allowed to achieve high accuracy of outlet pressure, volume of the issuing gas mixture and stability. To improve accuracy was used Electromechanical drive with high-precision control of shaft speed, a system of compensation of the systematic and accumulated errors. To construct the device with a pneumatic system for pressurizing the gas mixture, the control system and interface interaction. To provide stable operation of the equipment within 72 hours taking into account possible emergency situations (power loss, unauthorized access, etc.). - informing user about power status and willingness to work. - ability to set modes, thresholds of maximum pressure, respiratory rate, ratio of inhalation and exhalation, etc. - emergency and light alarm in case of depressurization, the release of the figures for the limits set, the cutting of power supply, unauthorized changes to variables, etc. ability to set thresholds of maximum pressure, respiratory rate, ratio of inhalation and exhalation, etc. alarm and light alarm in case of depressurization, the exit of indicators of range, power is lost, unauthorized changes to variables, etc.